Hello! I’m back after taking some time off for the holidays. This was my first Christmas that I wasn’t delivering mail, or waitressing. Still very busy! We hosted my in-laws here on Christmas day, it went better than expected. We made prime rib and cracker barrel style cheesy hash brown potatoes. Everyone seemed to leave happy, which is all you can hope for. 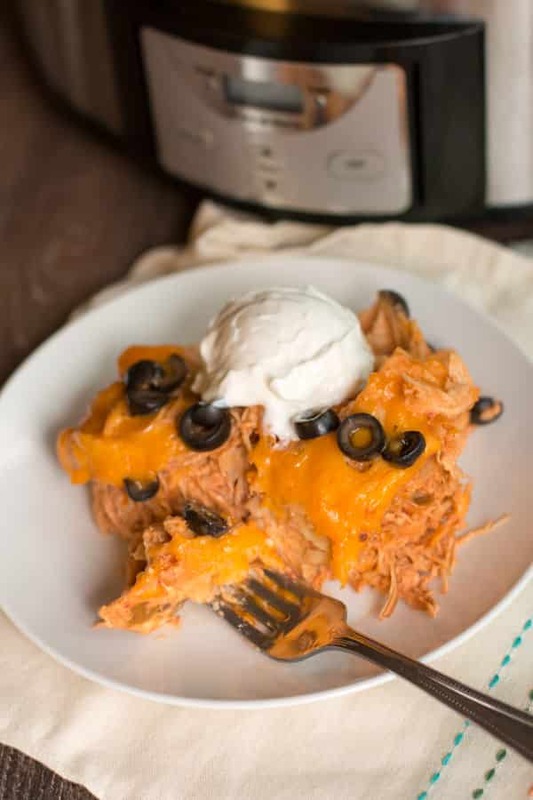 I’m back in the kitchen making this fun Chicken, Salsa and Cream Cheese Enchilada Casserole. 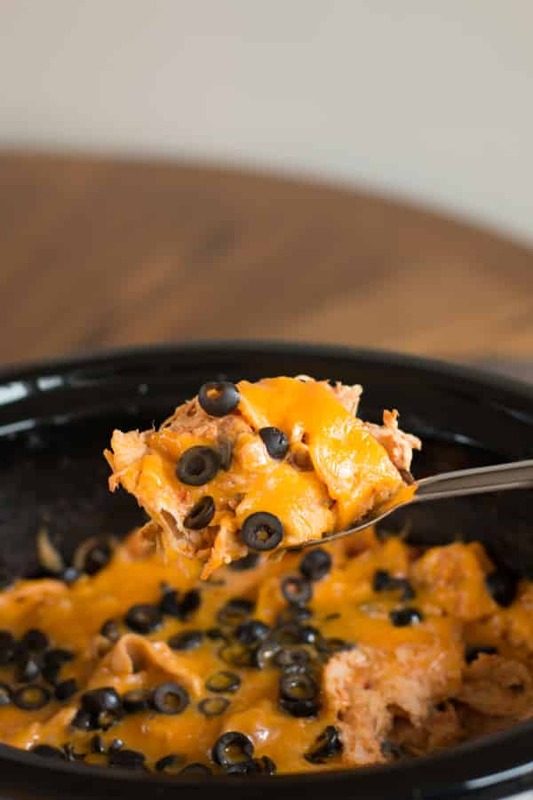 Enchilada casseroles are very easy to make in the slow cooker. I changed things up this time and did not use enchilada sauce. I used salsa and cream cheese for the sauce. I made this twice in the last few weeks, it was that good! 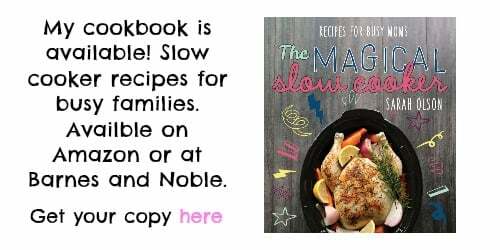 It may not win a beauty contest, though most slow cooker recipes don’t. First the chicken cooks all day with the salsa, nothing else gets added. I did not get a photo of that step, too early in the morning and I forgot. Below is after the chicken cooked all day and the cream cheese was added. Then I add tortilla strips, a little cheese and a half a jar of olives, mixed that together. Then I added more cheese and the rest of the can of olives. Covered the slow cooker again, and cooked for 45 minutes more to melt the cheese and get the casserole hot and bubbly. This casserole makes a TON! It will serve about 8 hungry people. You will see more enchilada casseroles on the blog in the future. Who doesn’t love a one pot meal?! 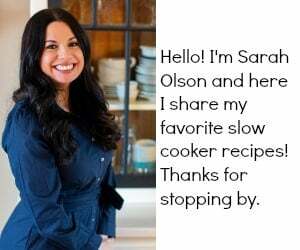 This Chicken, Salsa and Cream Cheese Enchilada Casserole was a hit at my house, I hope you enjoy it too. Have a great week! 1 (16-oz.) pkg. yellow corn tortillas (cut these into strips) it is 4 cups total after cut if you can't find the one pound package. Add the chicken to the bottom of your slow cooker. Pour over the salsa. Cover and cook on LOW for 6-8 hours. Plop the cream cheese on top of the chicken. Cover for about 10 minutes to let it get soft. Meanwhile I take this time to shred the cheese and cut up the tortillas. Shred the chicken with 2 forks right in the slow cooker. Stir the chicken, salsa and cream cheese together. 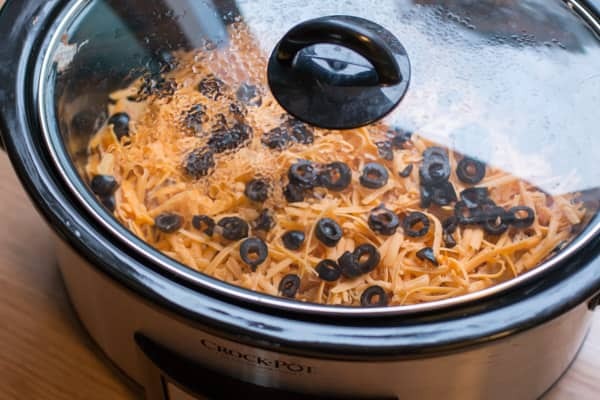 Add the tortilla strips, 1 cup of cheese and ½ of the can of olives, stir. Flatten out this mixture. 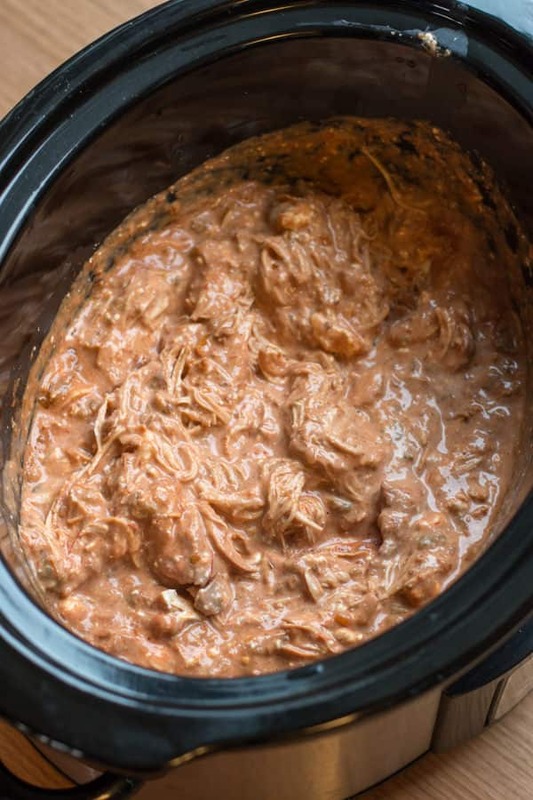 And wipe down the messy sides of the slow cooker with a paper towel. Top with remaining cheese and olives. Cover and cook on HIGH for 45 more minutes or until the casserole is very hot in the center. 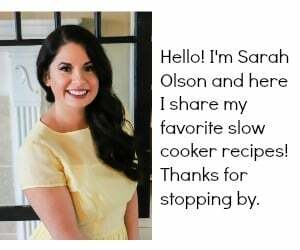 I used my oval 6-quart Crock Pot to make this casserole. This sounds really good, but you do not mention what kind of cheese you use in addition to the cream cheese. You just say 3 cups of shredded cheese. 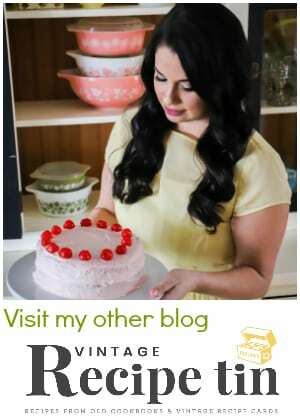 I have to remember not to visit your blog before breakfast! Now I am really starving. That looks yummy — thanks! This looks uber yummy! Can’t wait to try it! Instruction #3 says to stir chicken, salsa, and sour cream together. Do you mean cream cheese? Yes, thank you! I apologize, fixed it. Maybe a touch of taco seasoning may spice it up a bit more for you? Hi Susie! I think green would do fine! It may be. You may not need all the tortilla strips, you’ll know as you stir them in, you don’t want it too dry. Do you think I could add a can of drained black beans? I think that would be a great addition! Can you use frozen chicken or does it need to be thawed first ? Hi Destiny! I usually thaw or partial thaw overnight, but I don’t see why it wouldn’t work with frozen! Hi I was wondering if it had to be yellow corn tortillas or could it be white flour tortillas does it make a difference and also my husband’s not a big cream cheese fan so does it taste cream cheesy? Your 5th step says to add half of the can of olives & only 1 cup of the cheese and then your last step just says “enjoy!” So when do you add the rest of the cheese and olives? Thanks IA! It’s all in the 4th step? Ummmmm, this was absolutely ridiculously delicious! And Destiny, FYI, I put frozen chicken in due to our schedules (needed the extra time), and yeah, like I said, I died and went to heaven. I put a lil extra salsa just cuz I love it (that may help anyone who said theirs ended up a lil on the dry side… Reducing tortillas would be another option, but they just melted in so nicely), and my advice? Go heavy on the cheddar cheese and olives if you like them… And add that dollop of sour cream to your serving. Yum-O! One of my new favorite dishes for sure! Thank you soooo much for this!! 🙂 Especially in the fall!! Happy Thanksgiving!! So happy to hear Debbie! Do the tortilla strips get soggy in leftovers? They are just the same as the day that it is cooked. I think they still have a good consistency. I’m wondering if ground beef would work. I’m not a huge chicken fan. I bet it would be good! Do you happen to have the nutrition facts for this recipe? 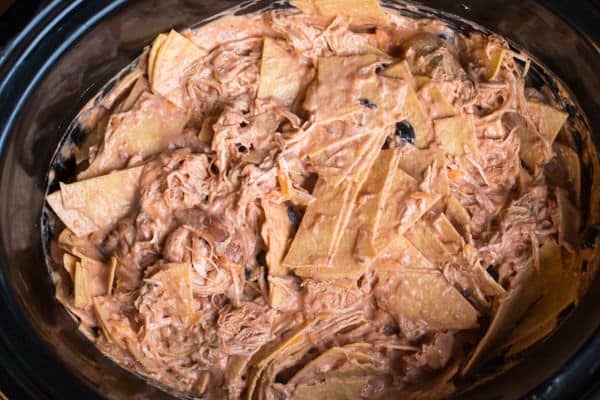 Can you use the hard tortilla chips and merely break them or do you need the soft tortillas that can be cut into strips? It looks like you are using hard but not sure how you cut those into strips? I used soft corn tortillas and cut them into stips. I’ve heard of people using corn chips before, but unsure how much. chicken has been cooking in the salsa for 6 hours so far but it is really watery. 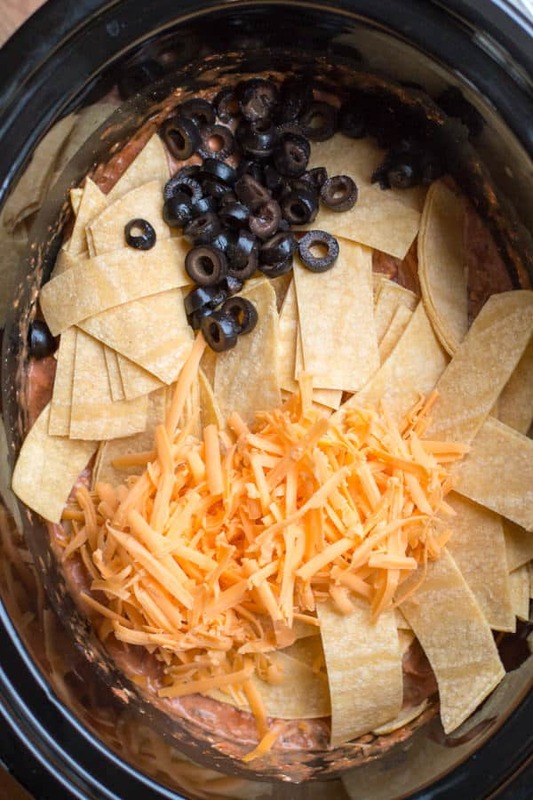 Do I drain the water out before I add the cheese and tortillas? Or do I just leave it the way it is? I think the cream cheese and the salsa will make a nice sauce. You could drain a bit out and save it and see how the cream cheese mixes in.